ST. GEORGE, Utah --- The South Dakota School of Mines football team dropped a Rocky Mountain Athletic Conference thriller to the Dixie State Trailblazers, 51-47, Saturday night in St. George, Utah. It was quite a tug-of-war for the two programs, who are developing quite a rivalry, as it looked like the last team with the ball was going to secure the win Saturday night in the desert. SD Mines led by one point after the first quarter, 14-13, and then extended their advantage, 33-27, at the half. The 'Rockers managed a field goal in the third quarter while DIxe State took advantage of a Hardrocker turnover to score a TD as SD Mines went into the fourth quarter with a two-point edge, 36-34. The fourth quarter saw plenty of action with as the Trailblazers opened the final quarter with a field goal and took the lead, 37-34, but the Hardrockers answered with a TD and two-point conversion to go up, 44-37, with just over 10 minutes to play. DIxie State knotted the game on a kickoff returned for a touchdown on the very next drive, 44-44, but the 'Rockers answered back with a 31-yard field goal to regain the edge, 47-44. The Blazers capped off a 10-play, 75-yard drive with a five-yard rushing touchdown, to take back the lead, 51-47 at the 1:39 mark. The Hardrockers marched down the field and had a final opportunity to score, but a late INT sealed the win for the 3-1 Trailblazers. Despite the loss, SD Mines had some very impressive stats. The 'Rockers posted 653 yards of total offense, racking up 237 on the ground and 416 through the air. Dixie State total yardage was 513 (225 rushing, 288 receiving). SD Mines collected 31 first downs in the game and was effective on third-down conversions, making good on 11-20 attempts. The individual effort for the Hardrockers was outstanding in the game and two receivers topped 100 yard along with a 100-yard rusher. Senior Connor Silveria had himself a game, scoring three touchdowns, and racked up 108 receiving yards on nine receptions and 62 rushing yards on 13 carries. He had two rushing TDs and one receiving touchdown. Senior Kevin Thompson also had a good performance, carrying the ball 15 times for 118 yards and a 75-yard TD run. Senior Jake Sullivan handled all the snaps under center, completing 31-56 passes for 416 yards and two passing touchdowns. He also ran a TD in during the second quarter. He tallied 62 yards on 12 rushes. 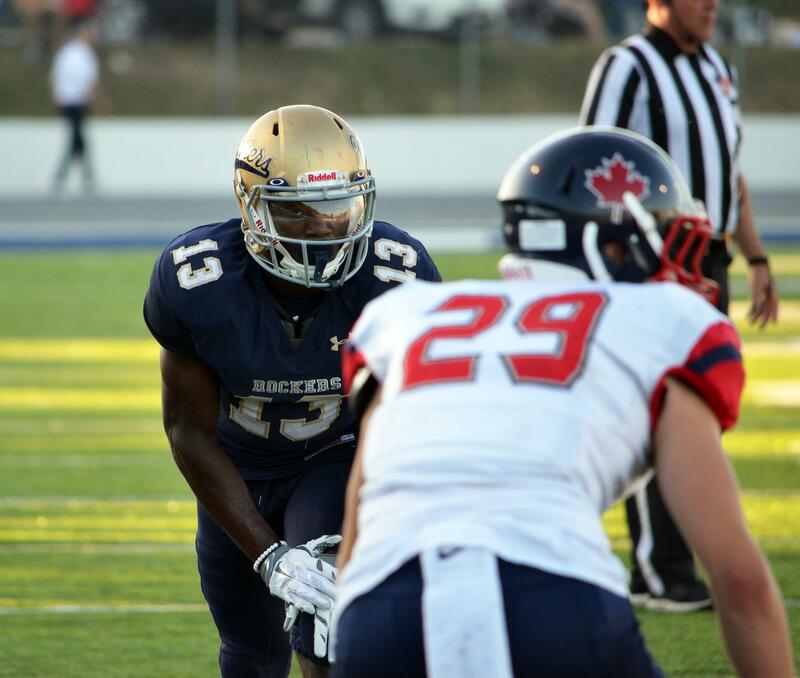 There were plenty of stars on the defensive side of the ball for the Hardrockers as well. Sophomore Dominick Jackson had a career game with three interceptions returned for 70 yards and also was credited with three tackles. Freshmen Will Carroll and Steven Nolasco led the Hardrockers with eight total tackles each. Carroll was credited with three QB hurries and Nolasco forced a fumble. Senior Andrew Karatepeyan notched two sacks and had seven tackles on the night. Freshman Kyante Christian also had two sacks in the game and JJ Banks and had one as well. RMAC Special Teams Player of the Week, sophomore Enis Sefa, had all the kicking duties Saturday. He made good on 28- and a 31-yard field goals, had nine kickoffs for 553 yards with two touchbacks and was 3-5 on extra points.